Lady Sleuths have long been a mainstay of the mystery field. Agatha Christie's Miss Marple is, surely, the very model of the detective in a cozy mystery. But before -- and after! 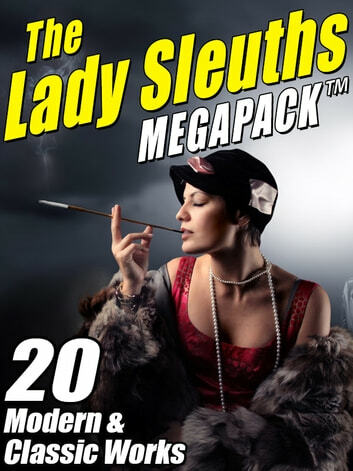 -- Miss Marple there were such sleuths as Loveday Brooke and Amelia Butterworth (both of whose complete adventures are in this ebook MEGAPACK™). And the lady sleuth is alive and well today, with recent adventures by such diverse talents as Janice Law, C. Ellett Logan, and Kristine Kathryn Rusch, among others. In total, here are more than 1,700 pages of great sleuthing! If you enjoy this ebook, search your favorite ebook store for "Wildside Press Megapack" to see the 170+ entries in the MEGAPACK™ series, covering science fiction, fantasy, horror, mysteries, westerns, classics, adventure stories, and much, much more!